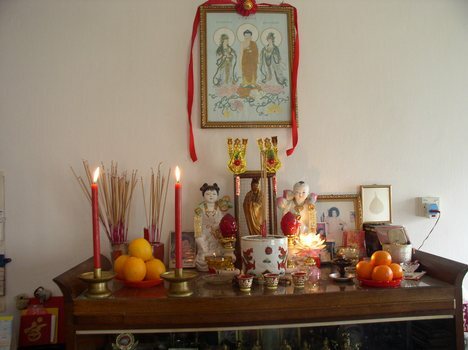 He made it clear that the phenomenon is far more complex than the stereotyped image of non-Western peoples burning joss sticks before portraits of their grandfathers, although that’s certainly one expression of ancestor worship. The fact is, ancestor worship in some form appears to be ingrained in humankind throughout history and across all cultures. Keep in mind that “worship” is a term covering a very broad range of behaviors, ranging from outright religious intensity through varying degrees of devotion to simply honoring. But all of these include remembering and various forms of ritual. Our speaker was ethnic Mexican (born in the United States) and had grown up with a variety of specifically Mexican customs concerning how to behave toward the dead. 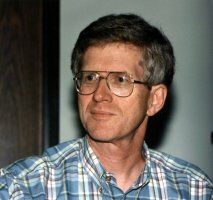 One of many he mentioned was the custom of turning off car radios while driving past cemeteries, out of respect. 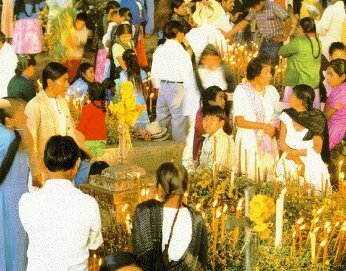 Another, more well-known, was the annual holiday of Dia de los Muertos or Day of the Dead at the beginning of November, on which families picnic festively in cemeteries, often at night, and offer food and drink to their deceased family members (among other customs). 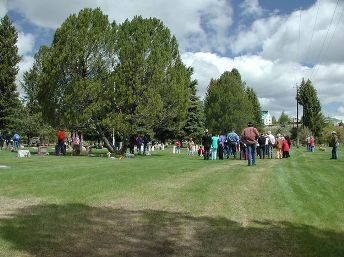 In my own family culture, definitively non-Mexican, we instead observe the annual holiday of Memorial Day, or Decoration Day, at the end of May, when families gather in cemeteries in daylight hours to clean graves, leave flowers, and visit with other family members. It also is a rather festive occasion, given to chattering groups of people who see each other only once a year on this day, catching up on news and talking about those who have died. Usually no food at the cemetery, but often meals shared elsewhere at homes or restaurants. As times change and people in most countries have dispersed to big cities from the small towns and villages where they have lived for generations, both of these holidays have mutated into other expressions. One currently ever more popular expression is the study of family history, or genealogy. There’s even a hit TV show, Who Do You Think You Are? devoted to this interest. 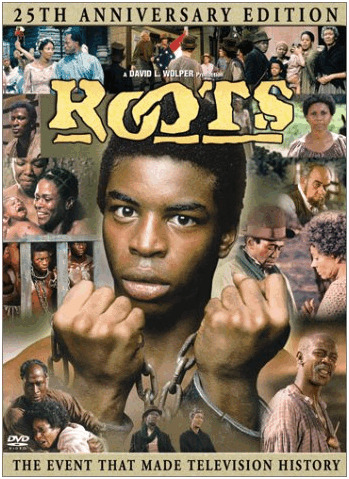 Some date the start of this new popularity of genealogy to the famous 1970s TV miniseries Roots, which I remember fondly as being quite involving, even gripping. And which planted the seed in many minds that all of us, in fact, have roots that are worth knowing because they are the source of much of what makes us unique individuals. And these roots are our ancestors’ lives. Our speaker also spent a bit of time talking about the sometimes troubling issue of ancestors who were not good people, or who did things that were not admirable. These also are part of our roots. And just as any religion worth honoring recognizes the complexity of existence as including all shades of good and evil, so does ancestor worship recognize the existence of “rotten roots” if you will, and give us some guidance as to how to deal with these in our own lives. Among my ancestors are some who were brave, hardworking, loyal, loving people. And some who owned slaves and/or killed people from motives that included avarice. Sometimes these are one and the same people. I can’t honor them without also recognizing their faults. Our heroes may have had feet of clay. That doesn’t mean they are not, for all that, still heroes. That’s part of the classical notion of human tragedy, all all-too-familiar concept. 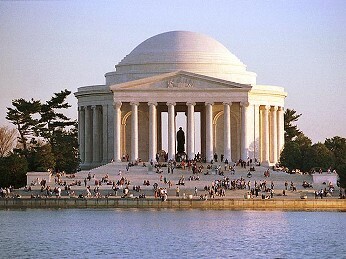 Thomas Jefferson has a temple in his honor in Washington and a huge granite carving on Mount Rushmore. He also owned slaves and fathered illegitimate children. These are not facts that cancel each other out – the tension between them is eternal. George Washington, Benjamin Franklin, Abraham Lincoln – all of our great people, people whom we “worship,” were complex, imperfect human beings who were, nonetheless, noble in very meaningful ways. Our personal ancestors, while probably not “noble” to the same degree, were similarly complex, and similarly merit our honoring – our “worship” in that sense. Remembering who they were, we learn something important about who we are. And of course this doesn’t just include literal ancestors. It includes everyone who ever existed who in some way influenced our own lives – a vast host of invisible people whom we will never meet, yet whom we should not forget, nor neglect. As individuals we are not alone and never were. So the next time you hear someone mention the practice of ancestor worship, don’t just absently dismiss the concept out of hand as ridiculous or primitive. Check it out – you may just be a participant yourself; and it’s not necessarily a stupid or ignorant thing to do.